20% off everything, taken at checkout! Please remember to order by the 18th so I can get your packages in the mail. 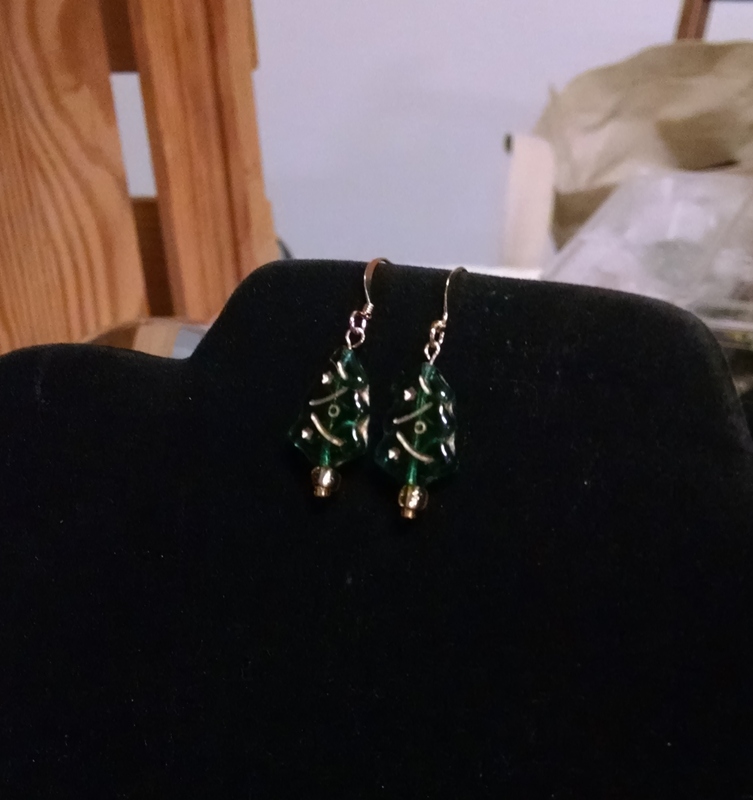 A couple of things – The store has had a major update, though I’m still inputing earrings. But! The stock should be up to date with pendants and necklaces. Please note that things are ON SALE – THANKS15 gets you 15% off until December. Last day to purchase so things get to you before Christmas is DECEMBER 18. And, if you’re looking for a more on-going gift, I’m going to point you at my Earrings by Subscription page at Patreon, so your loved ones can get something all year long. I’m trying something new this year. Through the miracle of the internet, someone else can do the organization for an Earrings of the Month club, collecting money and addresses, and so hey, have a link: Falling Leaf Arts’ Earring of the Month Patreon. The way this works is: I make a set number of Really Cool Earrings, from the coolest beads I can find, exclusively for the members. Those beads won’t get used for earrings again. You can sign up to get the earrings monthly, bi-monthly, or quarterly* shipped to your house – the price includes USPS delivery. Your payment will be withdrawn monthly, not in one lump sum. If you need something other than my standard nickle-free french hooks, just let me know in the notes. If you’re here, you know I try to make cool stuff. This is an experiment – if I get enough interest, we’ll continue. If not, I’ll probably cut it off next spring. *bi-monthly and quarterly subscribers will get whichever of the sets I’ve made that I like best. Well, that took longer than it should. But! I have landed in Hartford, CT and found my shipping materials, so I can reopen the store. I have new things planned for this adventure, watch this space as I start to get into the swing of things. I’m in the process of moving from St. Louis to Hartford, CT and packing the studio this week. As a consequence, the store will be closed until March 1. If it’s in stock, I may be able to dig out the boxes between now and then…but contact me privately and I’ll be able to tell you if I have any clue, or if the stock is on a truck somewhere in the Ohio Valley. I’ll have a grand re-opening after I get the new space set up! And we’re done! If you order from here out, it’ll get sent in the new year. Have a good holiday! Need last minute gifts? 20% off everything in the store! Discount applied to your cart. The last day for shipping before Christmas is Friday, Dec 19. That’s two days. Ok, back from the far flung reaches of the world (I have Murano[Venetian] glass beads to play with. Muahaha! ), and it’s time for the pre-Christmas sale! 15% off when using the code ADVENT15 in the store through Sunday. I’ll be uploading new shinies periodically through the week as well, so check back. The last day for guaranteed-by-Christmas shipping will be Dec 19. In other news, I will be at the Old North Holiday Fair, right next to Crown Candy Kitchen in St. Louis, 11-4 on Saturday. You should come see me! You should come see the rest of the vendors! And pick up some fabulous chocolates and candy to go in stockings.